The shipbuilding giant Fincantieri Cantieri Navali Italiani S.p.A. and NLI, a Norwegian total supplier to oil & gas business, announce today the signing of a collaboration agreement, supporting the aim to penetrating the Mobile Drilling Units construction market. This agreement includes the development of an innovative high quality drilling tower. For NLI the partnership is a milestone. In 1974 they delivered the first derrick to the Norwegian offshore industry. Most recently they have developed a drill tower solution new to the global market. With this Italian-Norwegian partnership NLI sees a great opportunity to reach out with their innovative solutions. From now on the parties will include each other when approaching the market and present their projects to the various contractors and operators / oil companies. The agreement follows the recent creation of the new Fincantieri Offshore Business Unit, dedicated to the commercialization and production of high valued offshore vessels such as Drill ships, Semisubmersibles Drilling Rigs, Pipe Layers, Construction Vessels and Non Standard Supply Vessels. The Fincantieri Offshore value proposition is based on the offer of new generation turn-key vessels, tailor made to meet specific client requirements. Mr. Sigve Barvik, Marketing Director of NLI commented: “We now have a yard, with financial power and world class know-how, which is prepared to support the potential of our drilling tower. Fincantieri’s European deep-water drilling initiative is unique and will allow to fully develop a drilling tower with superior performance, efficiency, eco friendliness, and safety for the personnel”. Commenting on the agreement, Mr. Giuseppe Coronella, EVP Fincantieri Offshore Business Unit said: ”We are very motivated to start this joint development process with a company delivering quality drilling and topsides engineering solutions. 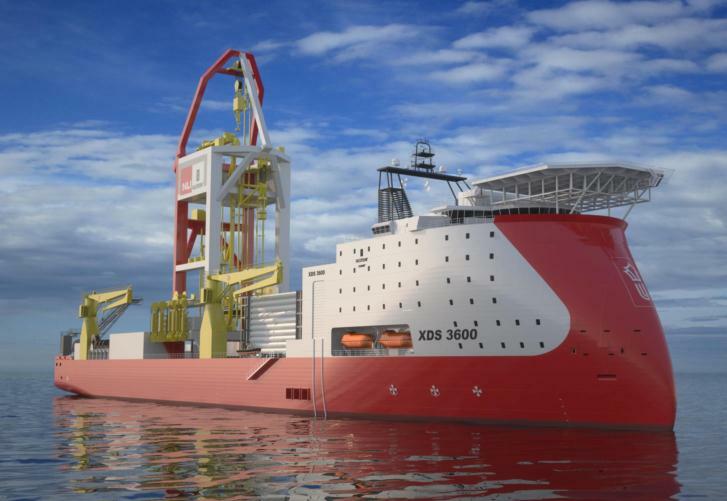 this will strengthen the capability of the established Fincantieri’s drilling supply chain, the “Polo Offshore”. Read more about NLI’s innovative “Northern Light” derrick. 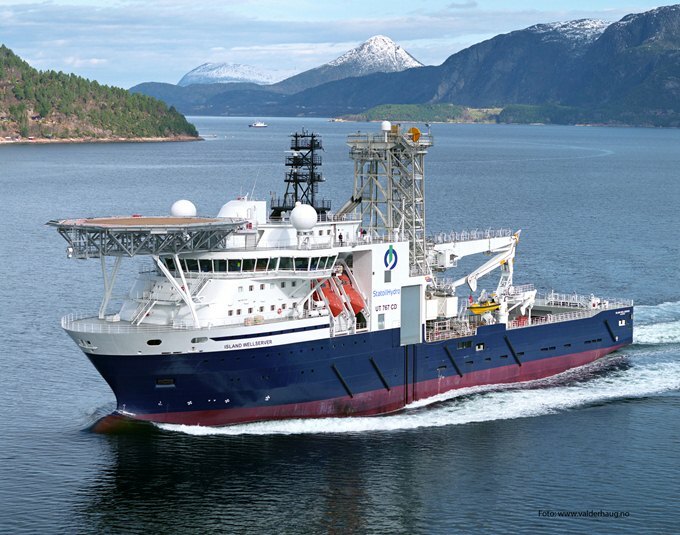 Source: Fincantieri, NLI to Offer New Solutions to Offshore Industry (Norway)| Offshore Energy Today. Statoil has awarded contracts for new light well intervention (LWI) vessels. These “category A” units will contribute to increased recovery from Statoil’s approximately 500 operated subsea wells on the Norwegian continental shelf (NCS). 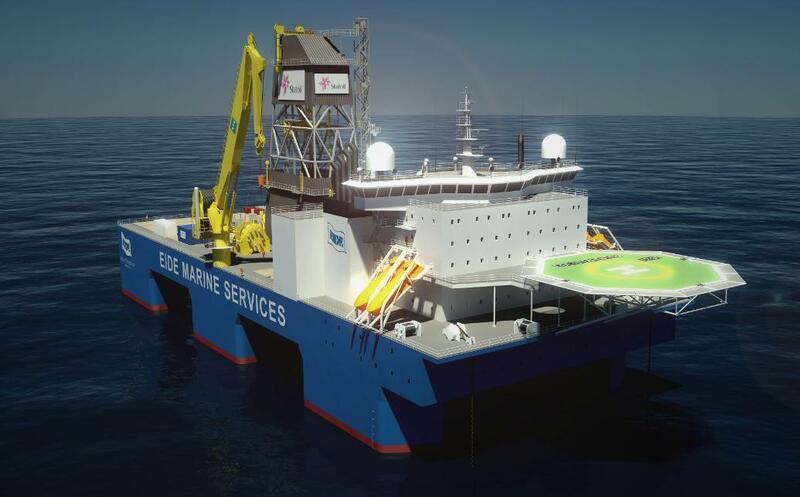 Statoil has on behalf of relevant licensees awarded a contract to Island Offshore Management and Eide Marine Services for the charter of a total of three LWI vessels. These purpose-built vessels are used for performing light well interventions, well operations and well maintenance without a riser-based system. Statoil can reduce well intervention costs by about 60% by utilizing a LWI vessel instead of a conventional rig. “Performing these types of conventional jobs on subsea wells with low volumes of oil in place is expensive. The LWI vessels ensure both cost-efficient and safe operations,” says Statoil’s head of drilling and well Øystein Arvid Håland. The contracts are worth a total of NOK 9.4 billion (USD 1.57 billion). Island Offshore vessels Island Frontier and Island Wellserver, which already have contracts with Statoil, have been awarded new five-year contracts. Eide Well Intervention, a new supplier in this segment for Statoil, has been awarded an eight-year contract for their new build, which employs a completely new technology. The contracts with both companies come into effect in the spring of 2015, and include two options to extend for another two years. A growing number of discoveries are developed via subsea wells, and it is important both to have equipment capable of maintaining these and to avoid using conventional drilling rigs for this type of work. The rig market on the NCS is characterized by an aging rig fleet, and it is necessary to ensure sufficient and adequate rig capacity at sustainable rates. To address this, Statoil has put light LWI vessels – category A units – into service on a large scale. “We have great ambitions and a long-term perspective on the NCS. Using purpose-built rigs and vessels in our operations is an important part of Statoil’s rig strategy. The high number of subsea wells in the future will require maintenance, and we are securing capacity in order to meet this need,” says Statoil’s chief procurement officer Jon Arnt Jacobsen. Statoil has been pursuing riserless well intervention in subsea wells since 2000, and the technology has steadily improved. The category A units will perform services for Statoil and the partners on the Åsgard, Norne, Gullfaks, Oseberg, Heidrun, Snøhvit, Tyrihans, Tordis/Vigdis, Snorre, Statfjord and Sleipner fields. A survey of well intervention activities carried out during the period 2003 – 2008 concluded that there was a significant need for well interventions on subsea installations. Verification on one of the facilities that carries out light well intervention was implemented to investigate HSE challenges linked with this type of operation. * Evaluate the companies’ understanding, knowledge and expertise as relates to major accident risk and managing barriers, on the part of both company management and among the employees. * Evaluate strategies and principles which are to form the basis for design, use and maintenance of barriers so that the barriers’ function will be safeguarded throughout the entire facility lifetime. * Verify that performance requirements are established and implemented. * Develop the PSA’s expertise in following up management’s work to reduce major accident risk, and clarify the need to develop a framework and supervision methods. * Contribute to the PSA developing its own methods that will form the basis for more effective barrier supervision. Statoil is cutting the costs of increased recovery from fields in operation by hiring in light well intervention vessels. 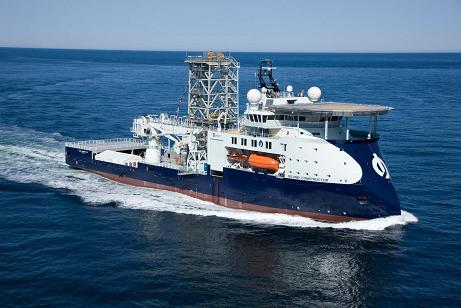 As of December Statoil has three light well intervention vessels in operation. Statoil awarded Island Offshore a framework agreement earlier this year for light well intervention (LWI) services from their Island Constructor vessel. The new vessel is set for operation in December, and is Statoil’s third light well intervention vessel in operation on the Norwegian continental shelf (NCS). Light well intervention vessels – known as cat A – are an important tool to increase recovery from the fields on which Statoil operates. Compared with conventional drilling units, these LWI vessels reduce the cost of well interventions substantially. Reduced well intervention costs also helps increase the number of interventions. “Performing conventional jobs of this kind for subsea developments in areas with low volumes of oil in place has been expensive,” says Statoil drilling and well technology operations manager Øyvin Jensen. Light well intervention vessels are an important tool in Statoil’s toolbox to increase field recovery. A growing number of discoveries are developed via subsea installations. At the same time, production from mature fields is declining. Wells need workover in order to maintain their output. These have historically been expensive operations on subsea developments. Utilising light well intervention vessels contributes to a more cost-effective maintenance of subsea wells, improves drilling efficiency, and provides the potential to offset rig capacity. Statoil has pursued riserless wirelining in subsea wells since 2000, and the technology has steadily improved. Statoil issued a new tender for light well intervention vessels this autumn. The invitation to tender was issued in October, and the bids are due in December this year. “We already have three light well intervention vessels in our portfolio. The new tender process will cover our needs for light intervention services when the existing vessels come off contract,” says Statoil vice president for drilling and well procurement Terje Rognan. During LWI, downhole equipment is remotely operated via a wireline from the surface and – unlike rigs – without a riser. Currently three LWI vessels – Island Wellserver, Island Frontier and Island Constructor – have been contracted by Statoil on the NCS.